Payroll Giving in Action has been in existence for over 25 years. 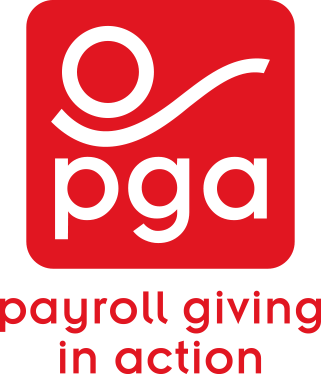 We provide a free service to employers to help promote and make a success of their Payroll Giving Schemes. Working with companies such as Royal Mail Group, Whitbread Group, Tesco, British Airways, DHL, BBC, Police Service Northern Ireland, Network Rail, Wincanton, Rolls Royce, Revolution Bars, Virgin Active, Allianz and Farfetch we provide solutions that work for them and that could work for your company. We combine the use of our national fundraisers with our excellent digital communications package and help any company (of any size) achieve their Payroll Giving Aims. We are friendly, experienced, well trained and approachable. We represent over 200 charities but happily accept donations for any UK registered charity or good cause. Our digital giving platform Giving Online® allows instant reporting to both charities and companies ensuring real time information is to hand at any time, allowing you to track campaigns and celebrate success with your staff.